A week-long survey carried out by ETTelecom.com show that 69% believe telcos are responsible, while 19% say government is responsible. A poll conducted by ETTelecom reveals that a majority of the respondents hold telecom operators and mobile tower companies responsible for poor quality of service. They are also of the opinion that allowing telcos to set up towers at government and defence sites can mitigate the problems. 54% of the respondents to the week-long survey on ETTelecom.com have felt that allowing telecom service operators to erect mobile towers on government and defence land will significantly improve the service quality. 69% of respondents opine that TSPs and tower companies are to be blamed for such pitiful services. While 19% believe that governments and local administrations should be blamed for restrictive measures, 12% hold resident groups responsible. An audit carried out by the Department of Telecom had pointed at the prevalence of telecom operators prioritising data service over voice. The government has, on previous occasions, blamed telcos for not adequately optimising their networks for the poor quality of service. The dire situation had prompted Prime Minister Narendra Modi to take stock of this issue and initiate steps to resolve it. However, the industry has maintained that the lack of mobile towers and the difficulty in setting up new ones are to be held responsible. 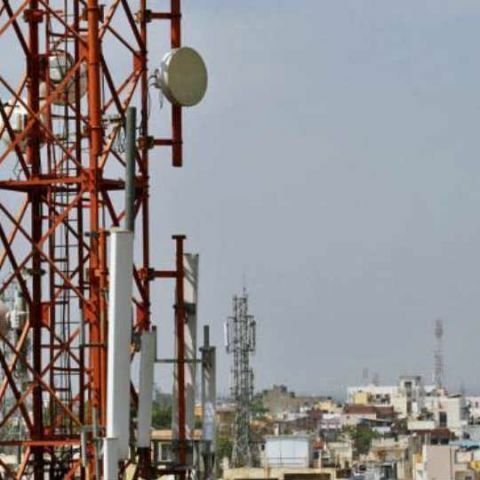 TSPs and organisations such as Association of Unified Telecom Service Providers of India and the Cellular Operators Association of India have pointed at a multitude of factors that prevent the setting up of new mobile towers. Apart from uncooperative administration and shortage of appropriate site for setting up towers, misinformation about the health risks associated with electromagnetic radiation among people is also hindering infrastructural growth. A recent study conducted by TRAI have found misgivings among people about the ill-effects of radiation from towers to be unfounded. Various telecom groups and the DoT have cited studies by the World Health Organization which to dispel such fears. According to industry analysts, approximately 100,000 new base stations are required to service the burgeoning demand for mobile services, in addition to the existing 550,000 towers in the country. TRAI will be releasing a consultation paper shortly to enable users to check the quality of service of mobile operators in an area. It had earlier proposed a compensation model wherein customers won’t be charged if the call drops after 5 seconds and the last pulse will not be included in the amount charged if it gets disconnected after 5 seconds. which external hard-disk is the best buy for better speed, reliability and service ? A small survey for the Digital Marketing and Video Games that you won\'t feel bored to fill.